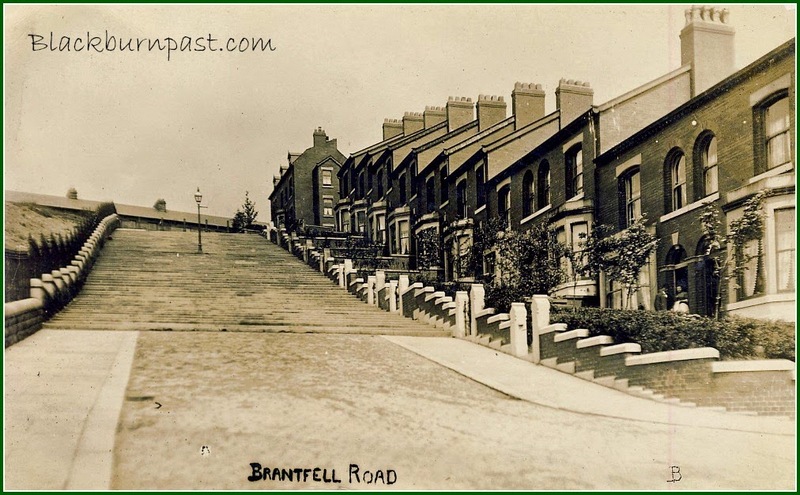 This is Brantfell Road again (lower section) looking towards East Park Rd. The photographer would have been stood on the 'Sixty Steps'. 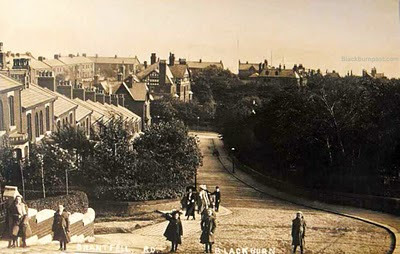 The large house in the top centre of the image is Egerton. When I was about 10 or 11 years old (1969 ish), my mate Keith's uncle (Jimmy Hogg) owned that house and we used to visit his cousins there. It was a massive place, set in its own grounds, with loads of rooms and a huge lawn to the front. A few years later, when I was about 14, I used to deliver the paper to them as well and spent many a morning being chased back down the drive by their dogs (bloody things). Judging by the attire of the two ladies heading into Colenso Rd, I would date the photo to the first decade of the 20th century, give or take a couple of years. 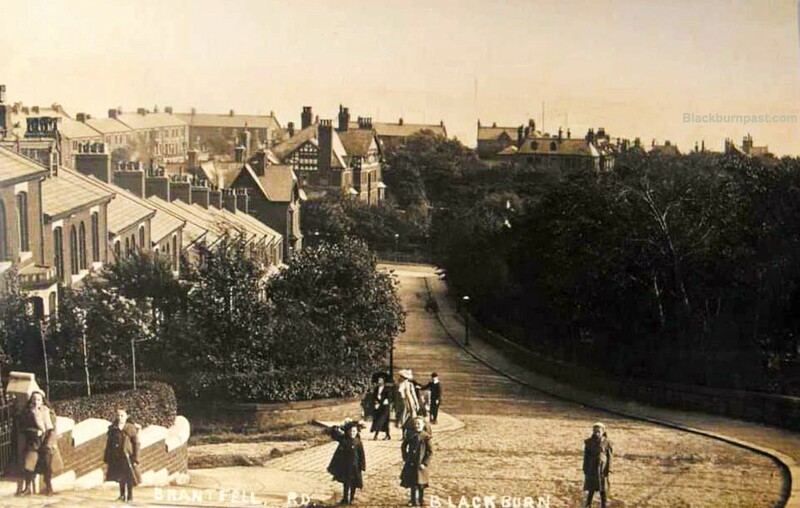 This photo/postcard below was taken the same decade, c1904 and is looking up the steps.